SG GIRL APPEALING FOR DONATION FOR EMERGENCY FUNDS FOR HOUSE WHICH HAVE BEEN BURNT DOWN! 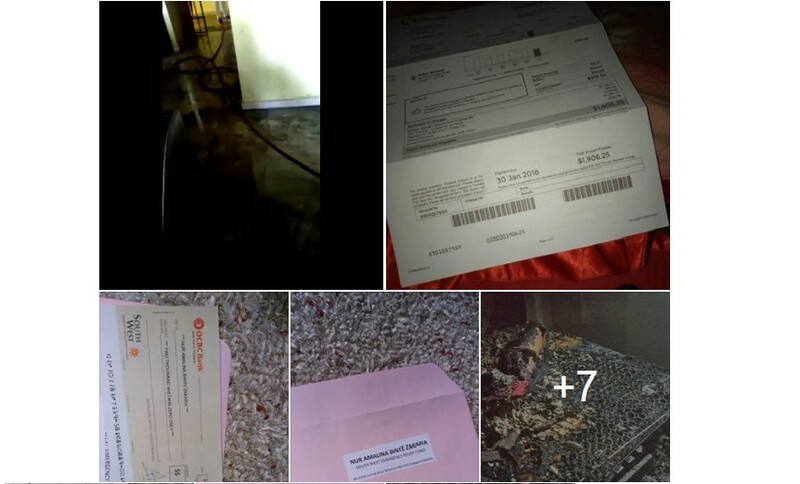 You are at:Home»Featured»SG GIRL APPEALING FOR DONATION FOR EMERGENCY FUNDS FOR HOUSE WHICH HAVE BEEN BURNT DOWN! Salam & Hello To All Facebook Friends. My name is Nur, 20 years old and working in retail industry as a part timer. Please excuse me if this gets too personal because I’m posting this concern as an individual. Last 27 Jan 2018, My Home was on Fire. All Valuables Belongings including hard days savings, Clothes also Household, were burnt to crisps. Fire is Caused by Candles used to light around house due to no electricity. Sadly Home wasnt covered in Insurance as expired 2016. I’m raising Emergency Funds for urgent use and home electrician wiring costs. MP had already reached out to me by cdc emergency funds and had settled a total of 1.9K outstanding electricity bills. My Dad has MIA-ed to Batam, Riau Indonesia. When told home was on fire, He told me to not CALL him anymore and just TEXT. UPDATE him once settled. but nothing happened. Now, Calls & Messages is ignored/blocked. *This is not for charities/organisations. Please Share this post around for me thank you. I hope you can help me. May God Blesses. Previous ArticleMERC DRIVER WAS CAUGHT DRIVING AGAINST BY TP ALONG HAVELOCK SQUARE! Next Article PASSENGER ARRVING FROM BALI CLAIMS HIS LUGGAGE WAS TAMPERED WITH!